How can you review a nifty mystery-thriller without giving “it” away? Dear readers, dear cineastes, dear lovers of literature, I ask you? “It” being the surprise ending, the twists, the plot, the sub-plots. Well, you can’t. You just can’t. So I won’t. But what I will say is that “Closed Casket” British crime writer Sophie Hannah’s SECOND Poirot novel is a book that I just could not put down. I could not. And that’s called real suspense. I can’t reveal anything about it, except perhaps it’s amaaaazing back story. Which is a combo of good luck and smarts by the Christie estate in wanting to continue delighting us with crimes for legendary Belgian detective Hercule Poirot to solve.And choosing the brilliant Brit crime writer Sophie Hannah to do it. 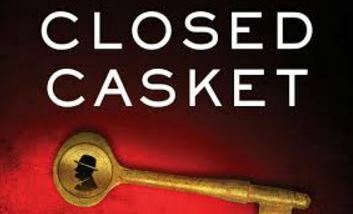 I was late catching up with “The Monogram Murders” Sophie Hannah’s first Poirot “continuation.” And so I didn’t review it because the new one “Closed Casket” is coming out very, very soon. Sept.8. And Harper collins, her publisher, generously sent me a review copy. So I’ll respect the pub date and not reveal anything except that, well, you can’t reveal anything. You just can’t. Except I couldn’t put it down! 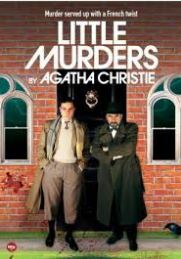 But I can say that Sophie Hannah is one smart, terrific, delectable choice to fill Poirot’s patent leather shoes. 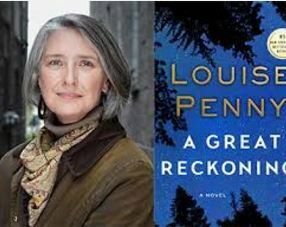 A best-selling crime writer herself internationally, she was still completely unknown to me when I dived into “The Monogram Murders,” not knowing WHAT to expect. I thought, as most readers did, I suspect, feel that anything “New” from Dame Agatha went to the grave with her. But no! Sophie Hannah, a for-real, respected genre writer(as well as poet and children’s book author) is the authentic thing. La Vrai Choise, as I think Poirot would put it. And she brought Poirot roaring back to life. Doing the seemingly impossible magic trick of reviving without re-inventing a beloved literary character. I never knew how much I missed him and his “little grey cells” til I found myself re-reading Christie’s entire oeuvre this past year. What had happened to me? 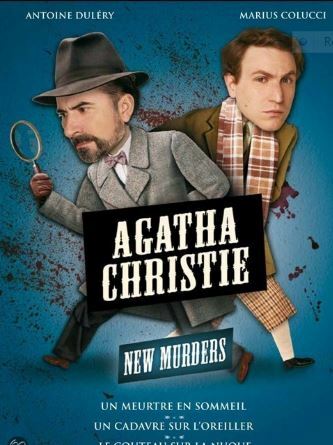 Agatha Christie has taken over my life! But wait! I’m not alone! She’s taken over Sophie Hannah’s, too! It’s Christie-mania and it’s contagious! Beware! 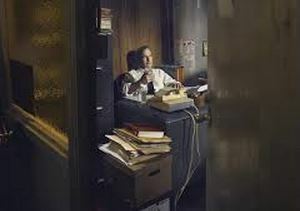 Well, I can say no more about the suspenseful “Closed Casket” until after Sept.8. But I WILL say that a central character Lady Athelinda Playford is going to go down as one of Hannah’s great new creations. She is one of “Closed Casket”s main characters and it is she who sets the wheels of the plot in motion, by re-writing her will at age 70. She is the widow of the fifth earl of Klonakilty, in County Cork, Ireland, where “Closed Casket” is set and is the author of many,many children’s books. More I will not say, except that this is the first novel I’ve ever read anywhere, that has Shakespeare’s “King John”, as a semi-constant reference point. 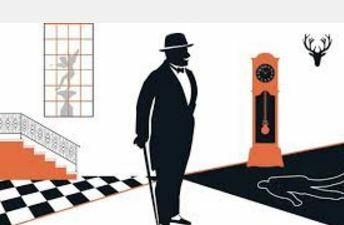 And yes, there is murder, mayhem, twists and turns and dastardly doings galore and Hercule Poirot at the seeming height of his powers in 1929.What more can one ask of a book? Dame Agatha would be so proud. So what’s the Oscar Buzz at TIFF? All the world really wants to know is this. Who’s on top at TIFF? TIFF, the Toronto International Film Festival, as it’s come to be abbreviated world-wide, is without a doubt the single most important launch pad for Oscar hopefuls and wannabes. Much emerged. 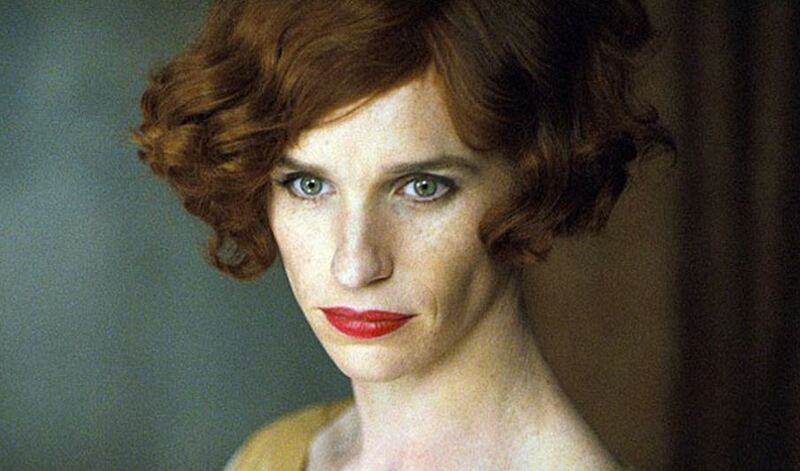 Top of the list going in was “The Danish Girl” and coming out it was Eddie Redmayne’s trans-gender pioneer Lili Elbe by a mile. 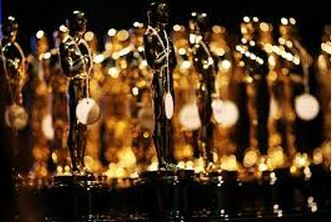 It could also be up for Best Picture, Best Director, Best Costumes(for sure), Best Adapted Screenplay(it’s a true story) and the very strong likelihood that Alicia Vikander as Lili’s staunch, strong spouse, Gerde, may land not just in the Supporting Actress race(where she would have a VERY strong chance of winning) and also, Vikander may end up as Lead Actress. Like her counterpart in “The Theory of Everything” Felicity Jones, who was also playing a similar part. Redmayne’s staunch, strong wife. And some years Jones may have been put in Supporting, but not last year. Swedish actress Vikander who is quickly becoming this year’s IT girl, may very well end up in lead, for her tremendous turn as Gerde, the audience’s surrogate. We see “The Danish Girl” through Gerde’s loving but dismayed eyes, as her husband turns from a man to a woman. 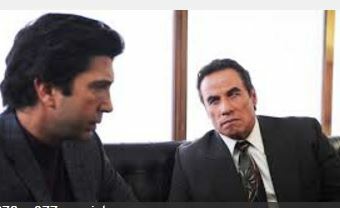 Less sure a front-runner was Johnny Depp in “Black Mass” as the frightening true-life gangster Whitey Bulger. For some reason, Depp was rumored to be cancelling interviews and press events left right and center. I heard that he was hitting the bottle quite strongly. I hope that’s not the case. I never heard before that he was an alcoholic. But alienating those who might have potentially helped Depp get a nomination for this less- than-par gangster film. 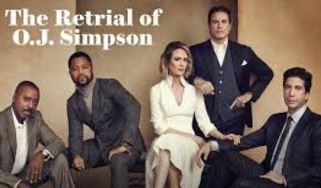 He may doing a “Monique” and blowing off the dog and pony show run-up to the Oscars, something that rival Redmaybe excels at. And Depp may be saying “Screw all this folderol and just vote for me based on my performance.” It may land him a nomination anyway. 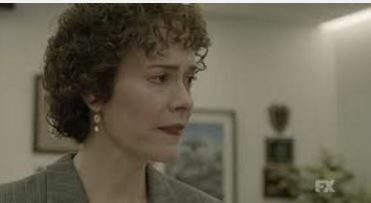 On the Best Actress side of things I saw two very good films with two outstanding lead performances by women. Both such strong contenders that they will not be overlooked come nomination time. There was the luscious, dewey-eyed, now all grown-up Irish beauty Saorise Ronan in “Brooklyn”. She is a young Irish lass who moves to America in the 1950s to find a better life for herself. And she does. But then a family tragedy drags her back to Ireland and into a Will She Stay or Will She Go dilemma. Her heart being caught between the love of a super-cute, super-hunky Italian kid (Emory Cohen) and the more traditionally suitable, wealthy. Irish man Domnall Gleeson. It’s a film in a minor key with soap opera bubbles all over it. But it’s well done. Tremendously old-fashioned and super-sentimental, “Brooklyn” may just be the Academy’s Cup of Irish Tea come awards’ time. Also there’s the ever-present, redoubtable octogenarian Dame Maggie Smith giving yet another career-best performance as a bag lady(!) who takes up residence in author Alan Bennett’s front drive-way in “Lady in a Van.” Dame Maggie played this role for nine months at the National Theater in London, to great acclaim, and under the same director Nicolas Hytner. Stats like those and a performance for the ages, are things the Academy is likely to take strong note of. And Dame Maggie is swinging from the rafters with his one. As dirty and smelly and ornery as her real-life character Mary Shepherd is meant to be, you love her any way. I really can’t wait to see this rather joyous take on the homeless AGAIN. I liked it that much.. But it’s “The Danish Girl” that really was the masterpiece out of all those discussed. Oh, and I here Sony Pictures Classics is going to run the OTHER Masterpiece I saw, holocaust drama, “The Son of Saul” for Best Picture, and the Academy might just go for it. A Hungarian film of tremendous power, it’s an amazing piece of filmmaking. But more about “The Son of Saul” later. Isn’t this enough Oscar news for one morning?